How To Win At Slots – Is It Possible? It is public knowledge, that slot machines, that are part of a progressive jackpot system are theoretically beatable. This means, that a progressive slots jackpot have the potential of exceeding a certain amount, after which the calculated average return will be positive for the player. As much as this is true, deriving a slot machine strategy from this insight is by no means easy and there are several barriers an advantage gambler aiming to exploit this possibility could face. If the possibility of a progressive jackpot passing the break-even point is common knowledge, why do casinos let this happen? The short answer is: In theory, yes. The longer answer is – as with all advantage gambling forms – a lot more complicated. It’s easy to succumb to the simplest and most promising slot strategy, but these are the most likely to be faulty, oversimplifying and unrealistic. There are several things you need to consider first, to get a clear picture. The answer to this is quite simple. Progressive jackpots usually start from a fixed amount, but after that, the jackpot increases from the portions of players bets. In other words, it is possible, that a player is using a slot machine strategy that gives him a positive return on the slots jackpot in question, he could even succeed with the endeavour, and the casino would be still making money, as the winnings of our protagonist would generally consist of portions of bets made by others. Mystery progressives, with a fixed maximum jackpot also produce a sort of “gold fever”, which is, again, good for the casinos. Slot machines are just about the only casino games the house edge on which is not quantifiable – at least not for the player. This makes the how to win at slots question a lot harder one to answer. One has to know the initial house edge to calculate when it disappears due to the slots jackpot size exceeding a certain amount. There are only two ways to estimate the house edge on slot machines (apart from getting inside info). 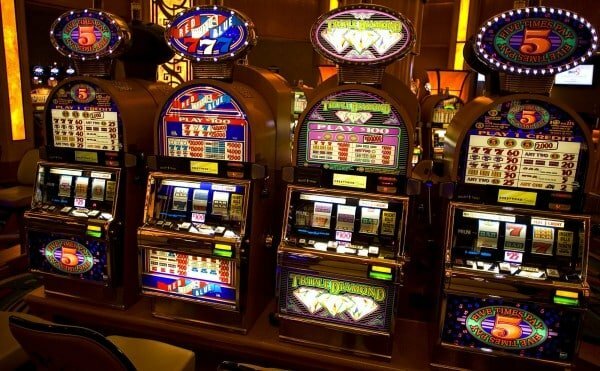 One is obtaining statistics on casino earnings of slot machines and the second is testing, observing, and tracking the results of such machines yourself. The Nevada Gaming Control Board for example released statistics about casino’s earnings on slot machines (see page 6), which can serve as the basis of a rough range estimate on the house edge on slot machines in the state. Gaming legislations usually set an upper limit for the house edge around 20%, but casinos tend to go below this substantially, not to loose players to the competition. The problem with calculating house edge yourself by tracking your results and estimating returns, is that you have to play a hell of a lots of rolls and returns will vary depending on the size of your bets. As progressive jackpots are usually only available for players who play with the highest bets, you would have to play with the highest bets also, to get a usable estimate of the house edge in the case of going for a progressive slots jackpot – in other words, it’s a costly endeavour. A player hits the jackpot, when the jackpot sign is rolled on all reels of the machine. Physicist John Robison estimated, that for a player to hit the Megabucks jackpot, one of the highest progressive jackpots out there, the chances are 1 in 49,836,032. Example: You’re chances for hitting the jackpot on a slot machine with 3 reels, 1 jackpot figure/reel and 64 figures on each reel would be: 1 in 64^3 = 1 in 262,144, that is 0,00038146972656%. There is a slot machine strategy for exploiting so-called mystery progressives, or flat-top jackpot machines, that have fixed upper limits for jackpots. In these cases a target point can be calculated from the house edge and the progression rate of the jackpot. Theoretically, if you start playing after the jackpot amount reaches the target point, you will have a positive estimated return on the game, as the amount of money you have to put into the machine to surely reach the maximum jackpot amount, minus the house edge, plus the amount of the jackpot, will be a positive number. The house edge, as mentioned before, is only available from estimates derived from public statistics or your own results from tracking slot machines. The rest is an equation, for which I will code a calculator, after looking into the math thoroughly. Calculator coming soon! Stay tuned! You have to know, how many machines are linked into the progressive jackpot system and adjust your strategy accordingly – there are some rumours, that groups of players took over all slot machines in a smaller progressive jackpot system, when the time was ripe for the break even point and indeed, it’s the only way to be sure, that even with correct math, it’s gonna be you, and not the guy next to you, winning the jackpot. This is by no means an advertisement and I haven’t myself read the book, but I heard a lot about Peter Liston’s book, the Million Dollar Slots which basically gives you more hints on the method explained above for exploiting mystery progressives. Several industry experts suggest, that it’s an intriguing read. It also gives you a more detailed mathematical model for mystery progressives with two jackpots. How To Win At Slots - Is It Possible? How to win at slots? Is it possible? It is - theoretically. The article also contains the short description of a method to turn slots profitable by optimising the play for slots jackpots. Great article! I love reading your blogs! Will you have the target point calculator up soon?